In June of 1876, a young carpenter arrived in Galveston with nothing more than a chest of tools and a desire to find work in the burgeoning seaport city. His name was William Menzies. He was 21 years old, fiercely independent and determined to make his way in the world. Galveston was clearly not where his future would lie, however, and a combination of storms, floods, a fire and a lack of work soon drove him inland. A decade later, having broken countless horses as a horse trader to earn his keep in the interim, the young man finally found himself on the banks of the San Saba River in Menard County. It was here he decided to buy a couple of sections of land to set roots and stay. And there on the banks of the San Saba those roots reached deep and took hold. So deep, in fact, that in 1957, some 80 years after he’d first arrived in Galveston, the Texas State Legislature recognized William as one of the state’s pioneer ranchers and a leader in the area of progressive agriculture. In telling his great-grandfather’s story, the author throws open the door to the Menzies’ family home and welcomes us in. It is here we meet Letha Ann, the woman who became William’s wife and the matriarch of the Menzies clan. With love and care, the author introduces us to this remarkable woman who devoted her life to being William’s helpmate, bearing his eight children and instilling in each the same pioneering spirit and unshakeable faith that was the hallmark of the Menzies name. A living complement to her husband, Letha Ann’s own story is one of courage, faith and unflinching dedication. Along with the Menzies’ sons and daughters, neighbors and friends, we are also introduced to a host of other ordinary folk who persisted in living extraordinary lives in order to forge a place for themselves in the raw Texas landscape. Folks like Willie Roberts, the first white child born in Menard County who, even though stricken with polio while still a toddler, managed to defy unimaginable odds to live a rich, full life on his own terms. Folks like Dr. Ed Knipling who grew up on his father’s Port Lavaca farm and experienced firsthand the devastation to livestock wrought by a deadly pest: the screwworm fly. It was Knipling who determined that through the release of sterilized male flies the problem might be eradicated. His ability to look past the problem to see the solution brought a successful end to the damage done by the screwworm fly and was, at the time, labeled the “greatest entomological achievement of the 20th century” by the U.S. Secretary of Agriculture. 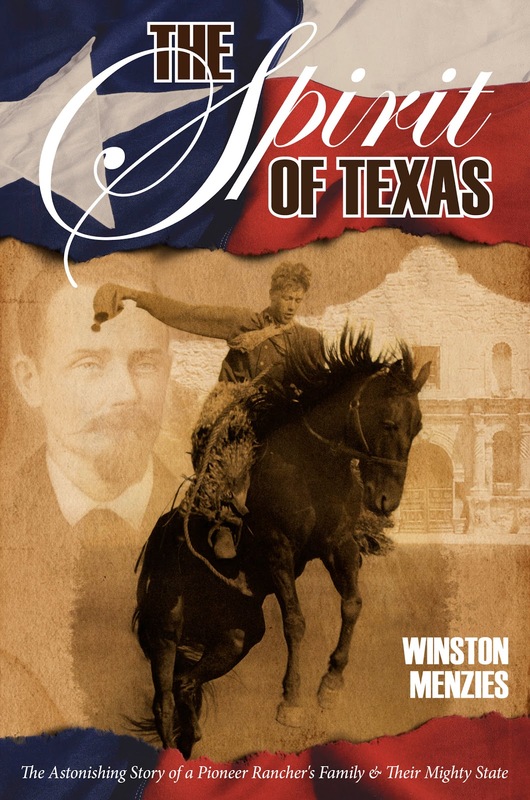 While The Spirit of Texas is clearly the story of William Menzies and his legacy, it is also the story of all the pioneers who settled throughout Texas, carving out their own legacies in an unforgiving land. It is a story that should be read by anyone wanting to know Texas and Texans better. It is also a story that those who already know and love the state and its people may thoroughly embrace and enjoy. I really wish we hadn't been rain delayed for a day. I think that made all the difference. I'm so annoyed that the Rangers gave up the lead how many times was it? Plus, I didn't get my work accomplished. Fabulous. I really am trying to get some work done tonight. I'm doing a really terrible job of it right now. For those of you who haven't noticed, Game 6 of the World Series is on, and the Rangers are currently winning. Between my Facebook discussions about the game, talking to my Dad, texting with my brother, and Rick from work playing on Twitter to see how many times he can mention me, I am not getting much accomplished. It's the 7th inning. What I want to know is, when is the World Series Champions sweatshirt that I'm going to want to buy going on sale? An interactive book, What Do You Think of Me? 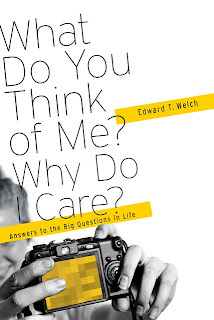 Why Do I Care? 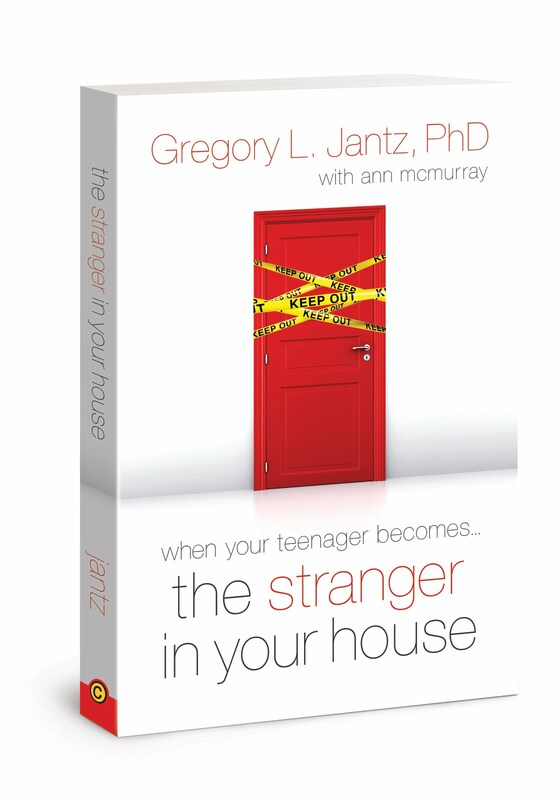 includes questions throughout the text for individual or group study and is especially aimed at teenagers and young adults. A corresponding website rich with controversy and dialogue, My-Big-Life-Question.com, will also offer readers a place to discuss personal needs as well as to find other resources for life’s journey and places to go for help. 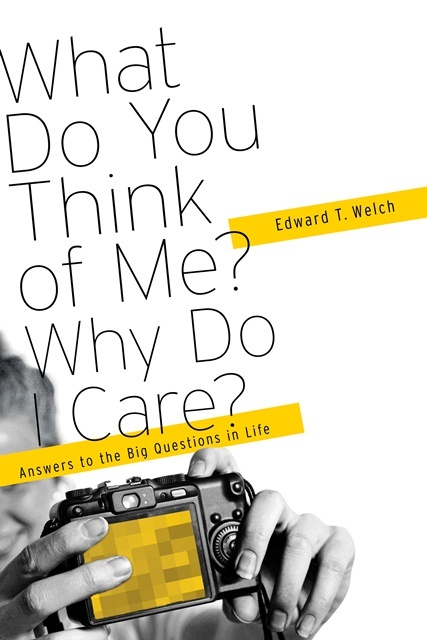 Author Bio: Edward T. Welch, M.Div., Ph.D., is a licensed psychologist and faculty member at the Christian Counseling & Educational Foundation (CCEF). 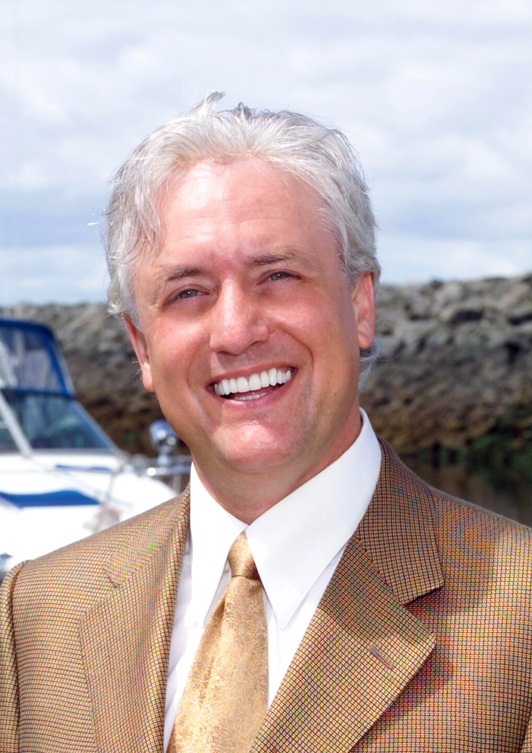 He has counseled for over twenty-five years and is the best-selling author of many books, including When People Are Big and God Is Small; Addictions: A Banquet in the Grave; Blame It on the Brain? ; Depression: A Stubborn Darkness; Crossroads: A Step-by-Step Guide Away from Addiction; Running Scared: Fear, Worry and the God of Rest; and When I Am Afraid: A Step-by-Step Guide Away from Fear and Anxiety. He and his wife Sheri have two daughters, two sons-in-law and four grandchildren. Labels: CCEF, Ed Welch, New Growth Press, peer pressure, What Do You Think of Me? Thanks to everyone who is taking part in today's tour! I sure do wish I had tickets to the World Series this weekend. Something is holding me back from paying $250+ even though I forked out quite a chunk for Opening Day tickets this year. It's the 5th inning, and the cable went out at my parents' house. Dad should be over here any second. I must say that I don't have the faith of Ron Washington in C.J. Wilson. If I were the manager, I would have put Ogando back in the rotation and started him. But, that's just me. Who else is watching with me? when we leave our inhibitions behind. What would it look like if we really loved each other—if we had no inhibitions about sharing our faith and our very lives with a hurting world? How would we really spend our time and our money? And what impact would this have on our own families, especially our children? What impact would it have on our communities, our country and the world? 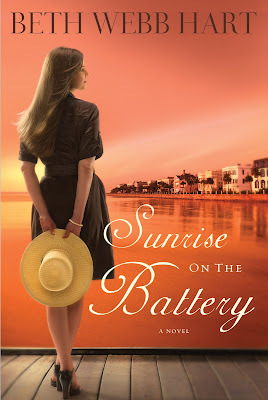 These are the questions that first inspired Beth Webb Hart to write her newest novel, Sunrise on the Battery. Hart always begins her writing with a question, and she was inspired with these questions after reading David Platt’s book Radical: Taking Back Your Faith from the American Dream. His book uncovered blind spots in her own life and helped her fully imagine just where her characters’ uninhibited faith might take them. Mary Lynn Scoville has everything anyone could desire—a handsome husband, three beautiful daughters and a ticket into the social elite of Charleston, S.C. But after a miraculous answer to a prayer on her behalf, Mary Lynn decides to pray that her husband will discover the faith she loves. But when her prayers are answered, she finds her world turned upside down and is forced to deal with the idols she has created in her own life. Jackson Scoville is a man on a mission. Growing up deprived of the finer things in life, he wants more for his children. His mission is to give his girls the best—a top-rate education, exposure and immersion in the fine arts and frequent opportunities to see the big wide world. “Not just education, baby—cultivation,” he is known to say. But when he discovers the truth of Scripture, his focus takes a quick turn—a turn his family may not like. While writing about the lives of Mary Lynn, Jackson and their daughters, Hart shows her readers how God can change a life and inspire a family. 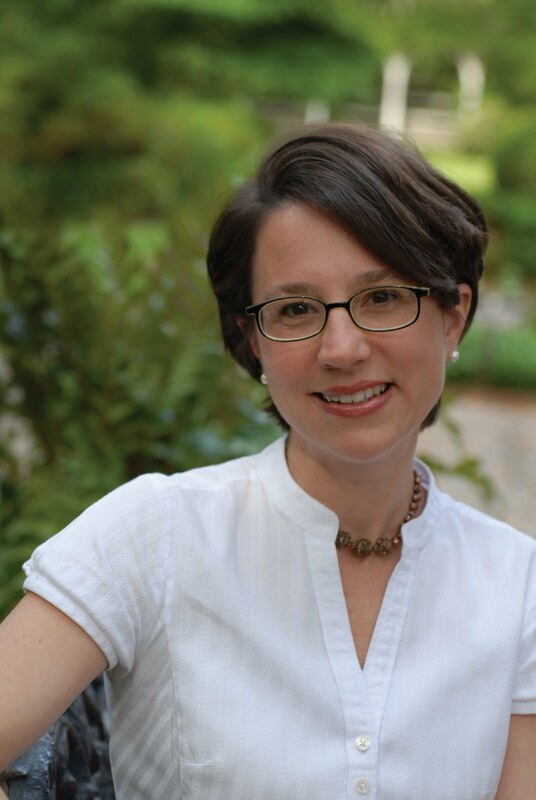 She draws her readers into the story, especially with her intricate details of the social culture of Charleston. 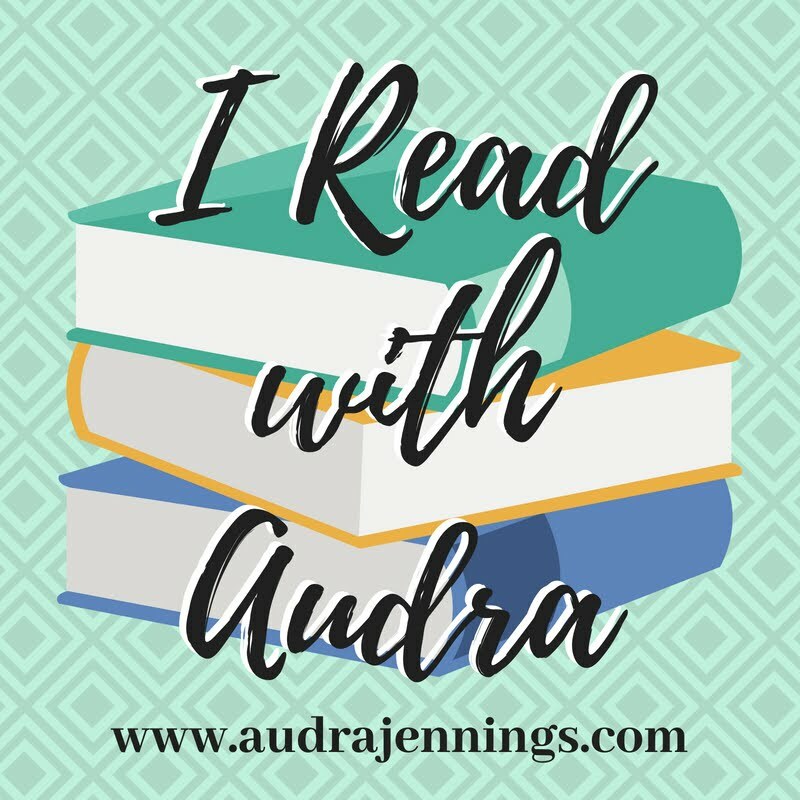 Her characters will shine a reflection on her readers’ own struggles and fears, and they will be inspired to examine their own lives and discover what really matters. 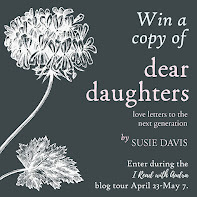 According to Publisher’s Weekly, “Hart writes inspirational fiction that leaves readers pondering the subtly expressed life lessons well after the final chapter. She manages to make even the unlikely a real possibility in this richly written tale of discovering faith.” So come along as the Scoville family discovers their new family mission—a mission that will change their world and the world around them. Obviously, I haven't blogged about my vacation while I was away. I avoided a computer as much as possible. I did a couple of preset posts for work related items while I was gone because I just simply ran out of time to do it before I left. Not really. I was up around 7 AM every morning. Even though I had a room to myself at the condo, I could hear the others up and milling around. Some mornings, I heard noise before 7, earlier than my alarm is set to to to work tomorrow. At least I went to bed at 9 PM last Sunday night after getting up at 4 something AM to get ready to leave. I did get 10 hours of sleep that day at least. I didn't really take a nap while I was gone - I dozed once. I started putting some border together, then put it back in the box when we all had to sit at the table. No one was ever around to work on it with me, and though I never really thought about it before, a puzzle is sort of a social activity, at least in my family. During the early morning and late afternoons/evenings, this was a yes. During the day, it was pretty warm. I did read a couple of days, but I didn't read as much as I usually do. I think this was because I didn't get to read while riding since I was driving. Did not actually do this at all. I did this while shopping. We only did this once, and I think the people we were with weren't too into being there, or at least didn't seem like it, so I felt a bit guilty that this was my thing and we only did it for me. When I could stay awake through it, yes. Now, I'm scared to see my inbox in the morning, since I haven't seen it in 8 days. Yes in that it wasn't the four walls of my house or the office, but I didn't see anything else I hadn't seen before, so in that, I wish I got to see something different. Yes, and I got my fill. OH YEAH! And sat through the hours long rain delay. Didn't get home until 2 AM this morning and am paying for it. I did get my nap in today after being in a questionable state of wakefulness during church. I was exhausted from the drive home Friday through Arkansas (why my dad picked that route is beyond me). When I got home, Paige wanted to spend the night over here, so I didn't sleep too well, although I was oh-so-glad to see her. We got to the Ranger game when the gates opened at 4:00 - three hours before game time because of all the warnings about parking and avoiding the Taylor Swift traffic.And of course, Texas finally saw rain once I finally got playoff tickets. You don't leave a playoff game with the tickets many times the normal face value until they officially call it. Brian asked me at church this morning if they ever finished playing it since he didn't join back in watching on TV once it started back at 10:45 last night. One big reason I didn't blog while I was gone is the lack of anything to say. I spent way too much time by myself and came to the conclusion that I don't want to go on vacation by myself. What I thought would happen - what I blogged about regarding expectations of what would happen as the fifth wheel - happened with the exception of at least I had a car to drive around. There's such thing as good alone time, and then it becoming too much. My mom saw this happening, but wasn't able to do much to prevent it. When Dad finally saw it at one time, instead of doing something to make Thursday different, after recognizing that I got screwed in a deal, they still headed back out without doing anything different. I saw Contagion one day by myself. There aren't a lot of great movie choices out right now, and the times were sporadic. What I can say about that movie was that at least it was something to do for a couple of hours. That's really as far as I will take my vacation discussion because if I were to go into it any further, it would probably go in a direction of needing an "attitude adjustment" to process it. I just don't want to go there with it. I did admit to Paige about the time I spent crying while I was away. I really wish I could have just enjoyed my time all the way around. Don't get me wrong, it was enjoyable in ways, and I don't want to complain. OH, and while I was gone, Floppy Jr. and Princess "went to the big fish bowl in the sky". They called one day to tell me. The girls' mom changed the water in both, they'd cleaned the rocks, etc., then went for a bike ride. When they got back, each had perished in their separate bowls. At least it wasn't on my watch. The pirate ship at the mini golf course. I said I would go to one show if we could go see the Oak Ridge Boys. There were 24 geese at the condo looking for food. The tarp covered field. Actually, they are taking it off here. 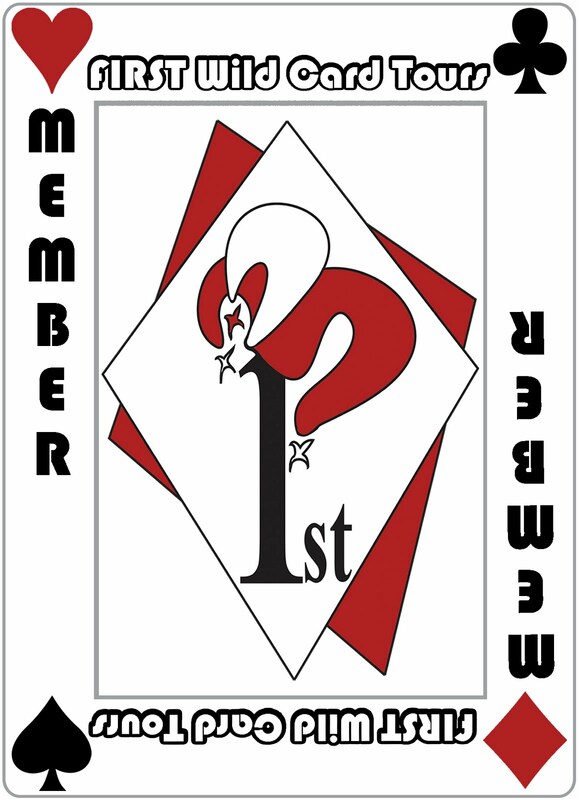 The first time. Radio personality, recording artist, speaker and author Lisa Troyer finds herself heart-deep in ministries that are changing lives forever. Her incredibly successful Circle of Friends women’s ministry, formed over a decade ago, is growing in all directions. With partners Dawn Yoder and Jocelyn Hamsher, Lisa and her Circle of Friends offer women’s conferences, counseling services, worship music, life skills classes and marriage/family resources. No matter the outlet or the venue, Lisa uses her gift of encouragement, her influence and her resources to open doors for women everywhere to discover their significance and belonging through Christ. 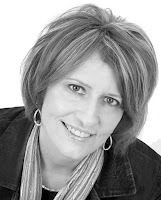 Active on the business side of the music industry for many years, Lisa worked as a copyright administrator for what is now Provident/Integrity Music, as well as a consultant for well-known European Christian recording artists. In Nashville, she also sang demos for songwriters, but never dreamed of recording music herself. After several years in Nashville, much to everyone’s surprise, including her own, Lisa made the decision to return home to join the family business and explore what kind of ministry God had planned for her. As Lisa began to develop a deeper, more intimate relationship with God and, subsequently, became more involved with the steady stream of hurting women God placed in her path, she knew that she had found her calling. Lisa’s passion for God, authentic love for people and undeniable giftings have landed her dead center in the middle of a burgeoning ministry beyond her wildest expectations. She lives in Berlin, Ohio, with husband and best friend Bob, and their two precious children, Jillian and Christian. Every woman needs a place to belong—and that’s the underlying theme of the new book from Lisa Troyer, president of Circle of Friends Ministries, singer/songwriter and radio host. 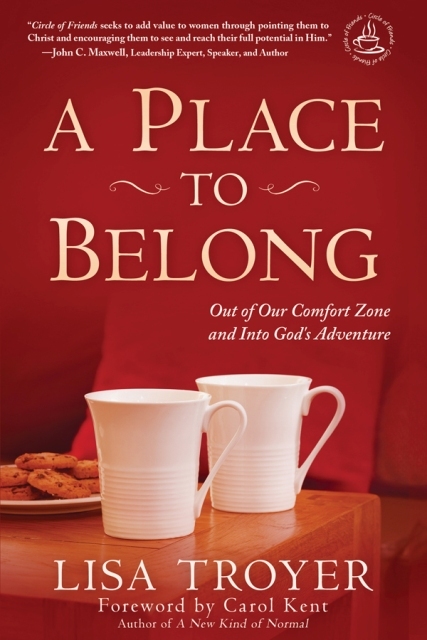 In A Place to Belong: Out of Our Comfort Zone and into God’s Adventure (Barbour Publishing), Troyer shares her own journey to acceptance as well as the story of a group of dynamic “women helping women” who call themselves the Circle of Friends. Troyer encourages readers to form their own circle of friends, a safe place of truth and love where women can develop lasting relationships and discover together the purposes of God for their lives. By learning to apply these concepts, women will not only experience freedom themselves but will also develop a biblical, transformational ministry to lead others within their own sphere of influence to freedom as well. This is my story. Acceptance means you can tell yours. Day after day for four years in high school, I felt his eyes on me. His aftershave lingered in the aisle as he walked past rows of students, and I remember what his presence felt like when he stood close to me. I kept his secret all that time and for many years afterward. Protecting him was not my agenda. I thought I was protecting myself. I was not going to be one of those girls. I was not going to get that kind of reputation. He was a married man, and I was not going to give in to what he asked of me. pull away from me if they knew? He asked me out, and I kept quiet. He made physical passes at me, and I kept quiet. He offered to purchase alcohol for a friend, and I, sadly, accepted the offer. I remember the warm spring day in early May of my sophomore year when he asked if I needed anything for the weekend and suggested he join me for a drink. And I kept quiet. He looked at me in that way, and I kept quiet. I felt ashamed and confused, and knew this was wrong, but I kept quiet. I sat in his classes every year and earned awards. He was part of my day, part of my routine existence, and no one but my best friend ever suspected the things he suggested to me in private moments. She did not know everything, but she knew something was going on. But she kept quiet, too. I wasn’t the first girl with whom this teacher behaved in inappropriate ways, and I wouldn’t be the last. I knew just enough about his previous victims to know their reputations were trashed. He was the predator, but they paid the price, and I was not going to let that happen to me. But I had chronic stomachaches, repeated severe colds, wanted to sleep all the time, and hated going to school. School was never my favorite activity to begin with. I preferred to read what I was interested in and found little wonder in things that didn’t apply to my focus du jour. The heightened emotional pressure in high school made attendance even less motivating. My junior and senior years were especially difficult. My interest in music was increasing, but so were my level of frustration and signs of clinical depression, though I didn’t know the phrase at the time. I wonder now how I didn’t flunk out of school. Two elements of relief were my choral and humanities classes. I enjoyed singing and reading Wuthering Heights and other classic literature. I was thankful for the positive influence and encouragement of Penny McKey and Connie Evans, true educators in every sense of the word. Despite my emotional challenges, I managed to make the honor roll and progress toward graduation. When I was a senior in high school, my stomach trouble took the form of a duodenal ulcer. Because the symptoms persisted after the ulcer healed, the gastroenterologist suggested my parents explore a psychological reason for my illness. I started seeing a psychologist, who officially diagnosed my clinical depression. His practice was not faith-based, but he had studied for the priesthood before getting married, and he encouraged my own faith. It was a safe place for me to say I was not okay without saying why I was not okay. I still kept the secret. After a while, my father had his doubts that the psychologist was doing any good, but I had recently turned eighteen. By the grace of God, the psychologist reminded me I no longer needed my parents’ permission to see him, and he offered to treat me for free for a few months. We spent a lot of time talking about my poor dating choices and areas of my life where I felt I had little control. Looking back now, I realize the therapist probably suspected more than he ever expressed. He was waiting for me to be ready to talk. But still I said nothing. You can’t just walk away. Just because I did not reveal what happened during high school did not mean the experience had no effect on me. It was years before I told anyone the whole sordid truth and faced the huge impact it had. The depression that began during those years has been a specter for all of my adult life. On the outside, things looked good. My dad wanted me to take his financial investment in my education seriously, so he said, “No bad grades and no partying, or the money stops.” I didn’t intend to give him a reason to cut me off. I now enjoyed school. I was free from my tormentor. I could be anybody I wanted to be. People who struggle with depression and don’t take prescribed medications tend to medicate themselves with something else, and that’s what I did. I plunged into a whole new social life where no one had even heard of my school or the predator who gave me an ulcer. I amassed a new cadre of friends and relished the freedom of living in an apartment by myself. I even dated a young man who presumed we would marry someday—although I knew I would never marry him. Social activities stimulated me and became the core around which my life revolved. I looked forward—never back. I was grown up now, I thought. The past was behind me. I was never going to live in my hometown again, so I had no reason to dwell on the things that happened there. 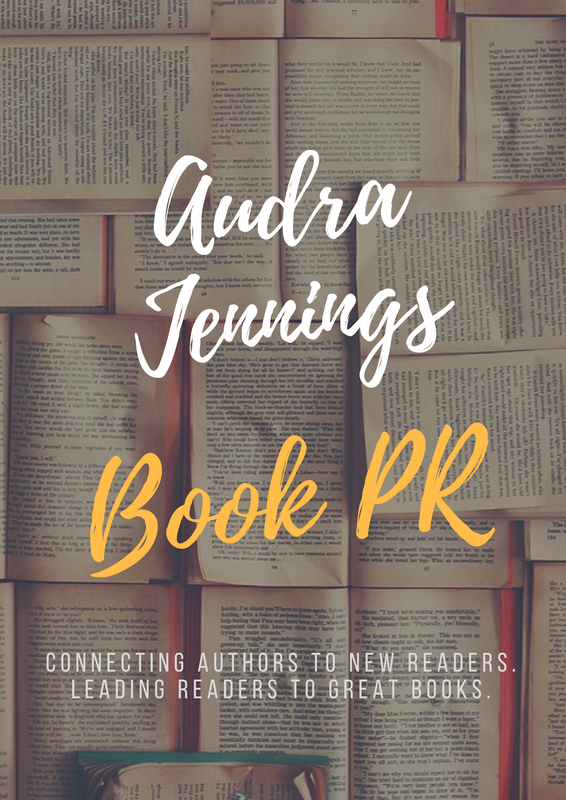 After graduation from the exhaustive one-year program and an internship with the retail division of Zondervan, a publisher with a music arm, I was ready to take on the world. prospects, but the hope of youth springs eternal. However, my friend soon found that Nashville was not the place for her and resumed her vocation of ministry and education. So I was on my own. And I still carried my secret. In Nashville, at the ripe old age of twenty, I found a niche on Music Row, a historic area that is home to hundreds of enterprises involved in country, gospel, and Christian music. Record labels, publishing houses, recording studios, video production companies—they’re all there. I found a job singing demos for a studio in a music publishing company, but ultimately I wanted to work for a Christian company. I kept inquiring at Benson Records, a major Christian music publishing company that belonged to Zondervan at the time. I grew up in a family business, and I knew the easiest department to get into was sales, where the turnover is always high. So I just kept asking. Eventually I got a job. the sales department ready to give it everything I had. Six weeks later, a job in the copyright administration department opened, and she recommended me for that promotion since I’d had some experience on Music Row with similar tasks. My stubbornness paid off, and I had what I wanted. I was independent. I was out of the Midwest countryside. I was on my way to a career on the business side of the music industry. I worked for a Christian company. I stayed in Nashville long enough to know I didn’t want to work for someone else the rest of my life. The family dairy business that was the backdrop of my childhood had imprinted me with a different mind-set. I had proven I could bulldog my way into the music scene in Nashville, but for what? My parents ran their own business and employed dozens of other people. In addition to his solid business, my dad was always pursuing interests he loved. He even bought a plane. I understand my father. He is never one to shy away from a challenge or an adventure. I wanted to find that elusive intersection between work that paid the bills and being involved with activities that brought meaning to my life. When Dad invited me to return home and join the family business, I took him up on it. I could have the security of the business behind me while also exploring what kind of ministry God had planned for me. When I chose to move back to my hometown, people thought I had lost my marbles. Didn’t I realize how hard it was to get a job at one of the country’s largest Christian music companies? If I walked away now, I might never get another chance. My broken past was behind me. At least, I convinced myself this was true. I was twenty-four years old—a lifetime away from that high school girl with a secret—and embarking on independent music industry consulting. I worked for Cliff Richard, one of England’s most popular recording artists, from a base in the rural Midwest. 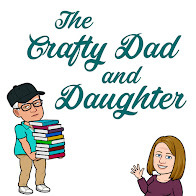 I also jumped right into making cold calls to find new distribution outlets for specialty items of the family business and turned out to be pretty good at the job. But I still had a secret. made sure he lost his job. He continued to prey on high school girls and eventually was found out. I just didn’t want to be the one who made that happen, and I was clueless about how deeply the events would affect me as I launched into adulthood. As hard as I tried to pretend that what happened didn’t matter after I left high school, the episodes haunted me for years. All these years later, I still feel naked telling this story, even without including the details. But I hope we are going to travel together on the road to a transforming life in God, so you need to know that this happened to me. In the pages ahead, you’ll read about a lot of heartache. Some of it is mine, some of it reflects the lives of women I know, and some of it rises from the pages of the Bible. And yes, there are some sordid details God thinks we need to know! Keeping a secret doesn’t make it go away. Putting on your mask doesn’t change what’s in your heart. As well hidden as your secret is, that’s how deeply lonely you will be. I’ve been there. I know it’s true. So I tell you my secret and invite you into my journey with God to encourage you to step into your own journey with God. I’m not suggesting you publish your innermost wrestling in the daily newspaper or on a blog or a billboard. But I do hope you will begin to see the bountiful blessing that can come to your life if you unclench your fists and let go of whatever you have been hiding from yourself. From others. From God. Circle of Friends is a ministry of women who both seek and offer a place to belong, a place of acceptance, a place of truth and love.